I am most certainly a fabric junkie. I am constantly on the lookout for new prints that catch my eye. And I like A LOT of fabric...it doesn't take much to get me excited. But occasionally, I'll come across a print that is just perfection (and those are typically the ones that I will purchase). 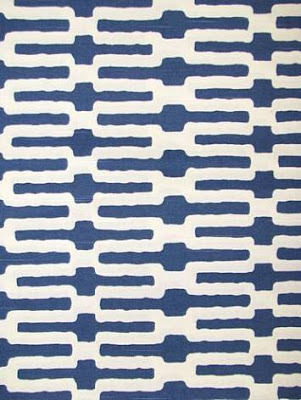 Such a print crossed my path this week - I was checking out this post over at High-Heeled Foot in the Door and immediately fell in the love with the swatch of indigo fabric HHFD recommended for the curtains. 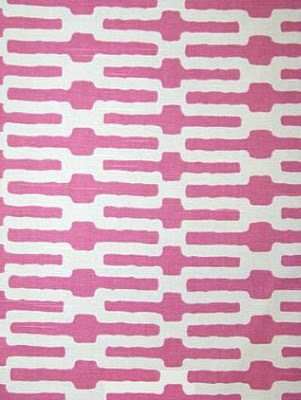 Her link sent me to House Fabric, a source I have used in the past, where I discovered that my new fabric crush is a print called Links by the wonderful Annie Selke. I love all of the colors and the wavy lines that produce the geometric pattern. 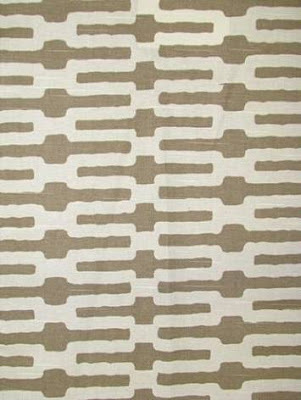 Geometrics are usually so tight and crisp...and this one is a bit more relaxed, giving it a bohemian feel. Love, love, love. 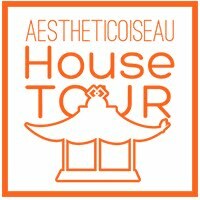 To purchase your own, go to housefabric.com and type in "Links" in the search box at the top. The fabric is $20/yard, which is not bad. 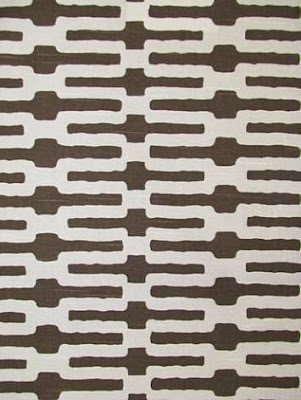 I also saw the fabric over at lsfabrics.com (again, search for "Links") and they had it in an additional Slate colorway. So happy you liked it! Plus thanks on the heads up for all the other color ways. I had no clue! Love it! 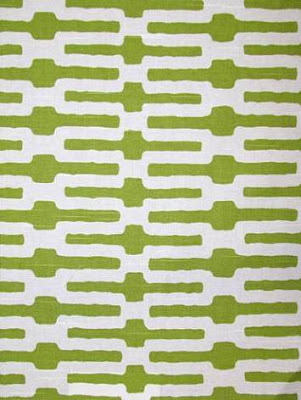 I'm a big fan of Annie Selke's fabrics but hadn't seen this pattern before. The navy would be perfect in my living room. KG - You used this somewhere? Send pics!! I just ordered two yards of the choclate links for pillows in my library. Thanks for the tip! !